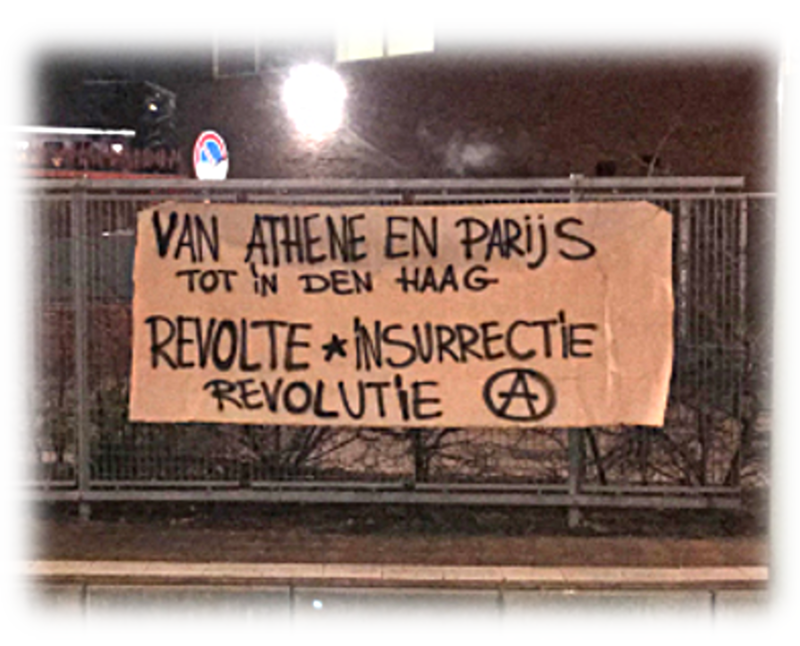 Last night a dozen anarchists made a walk through the Schilderswijk in Den Haag. Five banners were hung at different locations and flyers were spread with the title “Solidarity with those who revolt”. This December marks 10 years since the murder of Alexis Grigoropoulos, who was shot dead by the Greek police. His death started a month long revolt that spread throughout Greece and beyond. This revolt made it possible for people to open up news ways of organisation and see a new world, by reject the authority of the state.